Brand-Building: How Much Is Too Much? Let’s say it for what it is. Brand-building is a marketing strategy that costs money up front. It’s an initial outlay, where you invest a significant amount of hard-earned money, in the hope that it will bring you greater returns in time to come. So this begs the question: Is it worth spending money on a branding effort – which includes advertising and marketing – in expecting returns from your branding campaign, at the end of the proverbial day? As a general rule of thumb, companies are advised to spend around 5% of their total revenue on marketing to maintain their current market position. Companies looking to grow or gain greater market share should budget for a higher percentage, usually circa 10%. Exceptions of course apply, but mostly to companies that have already attained economies of scale, and also a certain market awareness of their brands. Walmart, for instance, only spends approximately 0.4% of their annual sales revenue on advertising. But because of their significantly high volume of sales, this equals a substantial advertising budget amount that can accomplish the same magnitude of brand-building and marketing ROI as another retailer’s larger percentage. In short, the higher the volume of sales a business does, the lower the percentage of sales they can expect to spend, to expect similar outcomes. 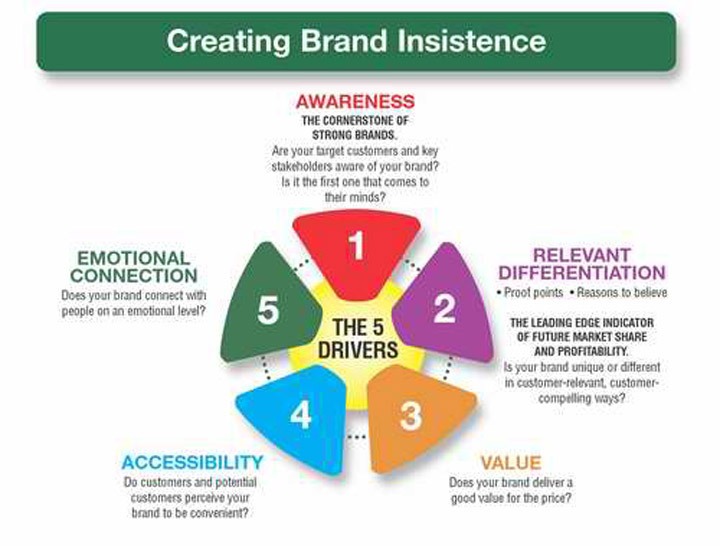 With approximately 50% of marketing funds channelled towards building brand awareness, companies that have established a strong brand-footing in their given markets have a competitive edge when it comes to how much they will have to spend to maintain their brand awareness. If a company’s target market is not familiar with either the company itself or the brand of products or services it offers, the percentage of sales revenue budgeted towards marketing will need to be higher. The world’s top 10 brands spent a total of US$20,500 million in 2013 alone, to achieve a combined brand value and brand revenue worth US$ 476.3 billion and US$869.9 billion, respectively. Now, were you the competitor of any of these 10 largest brands, would you be willing to spend US$20,500 million on advertising alone, just to outdo your competition? Even if you could afford to do so, should you really fork out so much money on advertising? Is advertising an effective way of marketing your product or service? If yes, where should you start spend your advertising money? The key to answering the preceding questions is to really drill down and understand your business in and out. By doing a strategic business analysis, you would be able to understand your brand equity even better, and this will assist you in making wiser decisions – including setting your marketing and advertising budget, as well as determining whether your existing marketing channel is working for you now and in the future. The best way to do so is to sit down with a brand consultant, who will be able to provide you with not only insight, but also fore- and hindsight into your business. So talk to us at LINs.AD today – your 360o advertising, marketing and branding solutions partner – and together, we’ll figure out the most viable way to promote your brand to your intended market. This entry was posted in BRANDING and tagged advertising, advertising cost, branding, cost. Bookmark the permalink. ← SMEs & SMIs: Branding Now or Later? No. 72-1, 2, 3 & 4, Fraser Business Park, Jalan Metro Pudu, 55100 Kuala Lumpur, Malaysia.